Maybe you already have an idea of what career you want to choose. If so, that’s great, but for those who need help picking a career path, luckily there are a few ways to get help. After all, there are so many different professions, careers and jobs available, and it’s really up to you to match your skills and interests to a job that can keep you happy. It’s a fact that most people stick with the career they choose for the rest of their life. Not always because they want to, but because they feel like they have no choice. That’s why its even more important that you get help so that you make the right choice. Here is our advice. There’s nothing like helping yourself. And thanks to the Internet and email, it is easier than ever to find information about potential job paths. If you have no idea what you want to do, it’s best to start by visiting your library and picking up some books that are filled with general career information. Pick up as many books as you can and take them home and browse through them. When you find something of interest, write it down on a piece of paper or on a Word document. At this point, you should be able to come up with a list of different careers that you could see yourself doing. The next step is to get more specific with your search. Take the list of options you saved and get a few books on each one. Read as much as you need to in order to find out whether or not your skills and interests would allow you to prosper with each choice. Continue to narrow down your list. Go online and start finding out more about your list. Look up such things as average pay, how much demand there is for each job. The top companies that hire for these positions. Make sure that you can find these jobs in an area that you want to live. Do your research on the number of hours you’ll need to work and what the career can lead to in the future. Then, try to read about what others think of their jobs. Visit job boards to read descriptions and search professional organizations for the careers you’re interested in to find out more about the industry. When you’ve done your research here you should have a few ideas of what you may want to do. Note that this could take weeks or months to really narrow down. Once you have a list of potential jobs, its time to go get some free advice about which career to choose. There are many great resources to help you pick a career. The first is the library. There are thousands of books about employment and different professional industries. But if you took our advice from above, then you already know that. The next place to look for free job advice is to visit a counselor. If you are in high school then you can visit your guidance counselor. Guidance counselors can be very helpful if they are good at what they do. From experience, I can say that I’ve never met a good guidance counselor, but that’s because I only went to one high school. A visit to the guidance counselor and he told me that I can be an engineer or a physicist, as my math and science skills were very high. That is not good advice as I had no interest in being a scientist or working in that type of environment. Anyway, not all counselors are equal and you should definitely visit your guidance counselor for some free advice. If you are already in college or tech school, or are planning to start soon, you should make a point to visit a dean or some type of advisory counselor. 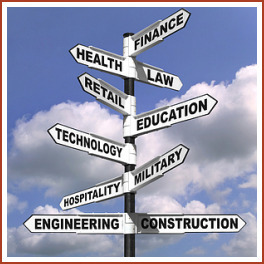 They can not only help you choose a career, but they can tell you which career programs at their school are right for you. You can ask them questions and voice your concerns. For example, you can tell them that you are interested in technical sales, but you’re not sure if you would make a good salesperson. They could probably ask you some questions and help you decide, or give you alternative goals, like becoming a technical lisaon that sometimes goes on sales calls. Once you’ve met with any counselors, there are still another few ways to get free career advice. Reach out to your family, friends and neighbors. Ask them for guidance. And if possible, find someone that you know with a job similar to one you want and ask them questions. Your friends and family have a lot of experience to share. And if they can’t answer your questions, they probably know someone else that can. Networking of this kind is something you should work on while you’re young, as you’ll need these skills the rest of your life. There is one more place to look for free help. Perhaps the best way to get free career advice is to contact people in that profession directly. For example, if you are interested in becoming a video game programmer, then get a list of video game companies and search their sites for the email of their department heads, or use their contact form to send a request. If you can find a local company, that’s even better. If you really want a response, pick up the phone and call the company. Ask them for advice via email, or see if they will meet you in person to help you better understand the type of job they have. You’d be surprised at how many people are more than willing to help! When communicating with these professionals, ask them questions such as, “If you were me and wanted to get into this industry, how would you approach it?”. Ask questions about which programs at which colleges you should pursue. Ask questions about how you can prepare not to hopefully break into their career sometime in the future. Ask them what they do on a daily basis. Ask them if they like their job or if it is boring. Ask them anything you want to know. Figuring out whether this career is good for you while you still have time to decide is one the most important things you’ll do in your working life. If you’ve used these free ways to get career advice and still feel lost, then it may be time to see a professional. Believe it or not, you can hire a professional consultant to help you choose a career. Although I’ve never met one, I’ve read about them in magazines and have seen them on TV. By paying a few hundred dollars for a consultation, they offer services such as choosing a career, preparing for your career, and of course, marketing yourself with your resume preparation and other essential job skills. Getting professional help is something you should do after you’ve exhausted the other methods discussed above, but is nevertheless another option that you may want to explore. This led me to over twenty years as a career professional. With 20/20 hindsight, I know what I experienced during my lengthy time being unemployed clearly impacted how I approached my work. I’m convinced that I was led to my career.